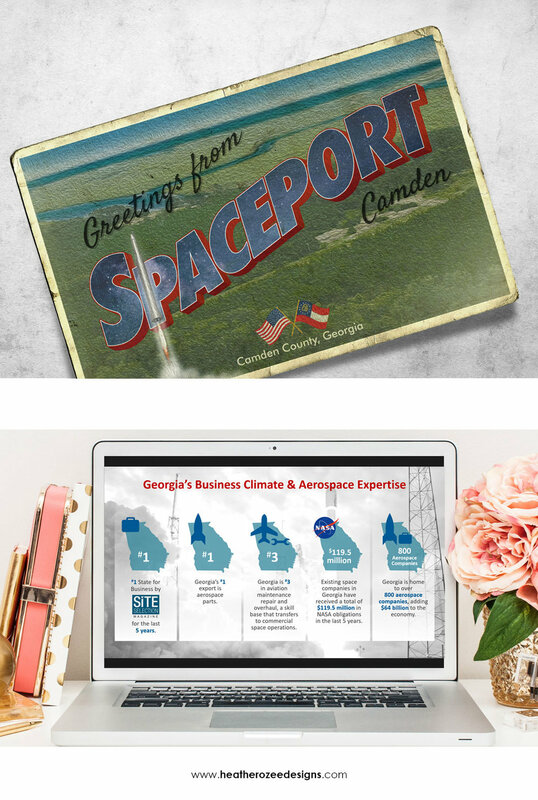 Technology, adventure, environmental perks, educational site and economic opportunities for Camden County, that's just some of what Spaceport Camden is building towards for it's community. Spaceport Camden is doing ground breaking work to create the premier commercial spaceport. I love getting calls from these guys for design work. I've worked with the Spaceport team creating custom maps, presentations and postcards. To Infinity and Beyond!